A group of CW3E graduate students, postdocs, and staff worked to install soil moisture, meteorology, and streamflow instruments in the Lake Mendocino watershed August 28 – September 1. 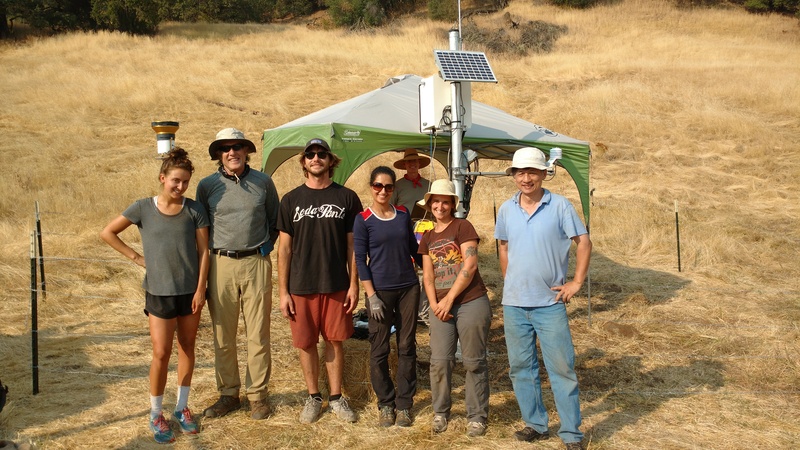 Taking extra precautions and shifting work schedules due to California’s triple-digit heat wave, the team installed three soil moisture and surface meteorology arrays and a stream gauge on ranchlands representative of the hilly topography draining into Lake Mendocino. CW3E thanks the landowners who have volunteered to have instruments installed on their properties, as well as Steve Turnbull of the U.S. Army Corps of Engineers for participating in the installations. Two more soil moisture and meteorology arrays and three more stream gauges are planned to be installed in the watershed prior to the 2017-18 AR season for a total of six soil moisture and meteorology arrays and six stream gauges. The data from these sites will be used to better understand AR meteorological and hydrologic impacts in this region and improve streamflow forecasts on the Russian River.